The Wingstop Guest Satisfaction Survey Sweepstakes is open to legal residents of the 50 United States, including the District of Columbia, age 18 or older at the time of entry. Limit: One entry per person or per email address per day regardless of methods of entry. Smartphone usability rating: 2/5. You need to enter the survey information. Entering via smartphone may take you more time. Receipt Invite. Make a purchase at a participating Wingstop Restaurant to receive a specially-marked cash register receipt which will have instructions inviting participants to visit the website or by calling 1-866-408-1699. Alternate Means of Entry. 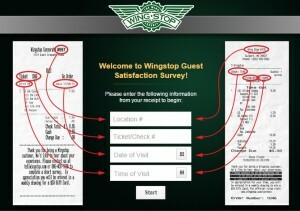 To enter the Sweepstakes without making a purchase at a Wingstop Restaurant location or without completing the survey, hand print your name, complete address, city, state, zip code, daytime phone number, and birth date on a 3" x 5" card and mail it to: Wingstop Guest Satisfaction Survey Sweepstakes Entry, 625 Panorama Trail, Suite 2100, Rochester, NY 14625-2437. Wingstop landed on the scene in 1994 with the idea of serving the ultimate buffalo-style chicken wings and providing a superior guest experience at an exceptional value, every day. Organised , I want a refund. Wing's were bloody, nobody cares. Very bad experience never again. Manager, Adrianna, did not take order correctly. She took it as a Walk-ToGo Order instead of an eat in. The order was plainly given as an EAT IN by my husband. She walked by as she was delivering other trays of food. Not once did she say hello or what is your order? We waited 35 minutes before I said something. I saw her walk out of the store so I went up and asked. They had it setting in sack to go and said it had been there for over 15 minutes or so. They did offer to remake so it would be warmer. I rejected because we had no food all day. It was now 1:45 pm. We proceeded to eat. When we opened the two veggie trays over 1/2 of the veggie had black mold and brown spots. Uneatable mess. We are both dieabetic so we just ate the chicken wings. 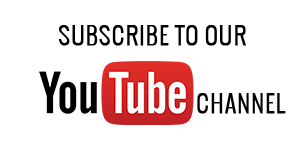 Our store number is 1084 at 377 E. Hwy in Granbury, Tx. We have been good customers since you open. This is too many mistakes for one person to be making on one customer. Call me at 918-361-2090 (Bob Cook) if you want to discuss this more.